If you’re an author who wants to use coaching to make more money, listen to master coaching expert, Patrick Donadio, as he shares easy ways to add coaching to your repertoire of services. 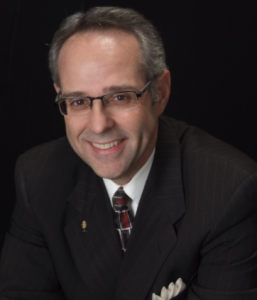 Patrick Donadio, MBA is a certified speaking professional and master certified coach. He specializes in business communications and leadership development. Since 1986, he’s been working with leaders in their organizations to improve the way to communicate with staff, customers and the public with his powerful presentations and one-on-one business communication coaching. From the boardroom to the classroom, he teaches people to increase profits, improve presentation and or verbal communications, enhance the credibility, deepen relationships and boost performance unless time. He is the author of “Communicating with Impact,” a leadership guide to communication. How to effectively communicate your ideas and achieve greater results. Q: What’s the difference between the coaching, consulting and training? A: It’s good to distinguish between those because some people call themselves a coach when they’re really doing consulting. Some people call themselves a coach and they’re really doing training. So when I think about consulting and I’ve done a lot of it early on in my business. Consulting focuses on the organization and is all about providing solutions. So you come in, you’re the expert and you’re gonna tell people what to do and fix it. Now training is different even in consulting focuses on helping individuals learn a new skill. So as a trainer, you’re the expert with the answers but you’re teaching other people how to do it. So opposed to a consultant, who tells them how to do it, a trainer is teaching them how to do it even though you can do it yourself. You’re not doing it for them, you’re teaching them. As I said earlier, what coaching is all about, it’s really focusing on helping the person uncover the answers for themselves with guidance and support. So the consultant is the person that will tell you. The trainer is the person that’s going to teach you. Then the peer coach is going to be the person that’s going to ask you great questions to help you think it through and be there to support you. Here’s how to contact Patrick Donadio for more information about his coaching services.